The slow cooker is not only a helping hand when your schedule is jam packed but a whiz at producing juicy and delicious meals. The combination of a low cooking temperature over several hours produces a dish that has layers upon layers of flavor. These satisfying slow cooker chicken recipes are bound to be family favorites. They are comforting, easy, and damn tasty too. Once fall approaches, it immediately becomes chili season. This harvest chili recipe is a little off the beaten path but delicious nonetheless. Ground chicken is cooked in a rich sauce flavored with pumpkin puree, parsnips, and butternut squash. Velvety white beans are mixed in to tie the whole dish together. Instead of cheddar cheese, I like to serve mine with shredded gruyere. Slow cooker chicken tikka masala is one way to introduce your family to new foods, flavors and culture. All the ingredients are dumped into the crock pot and cooked low and slow for several hours. Serve this favorite Indian dish over Basmati rice with naan (Indian flat bread). 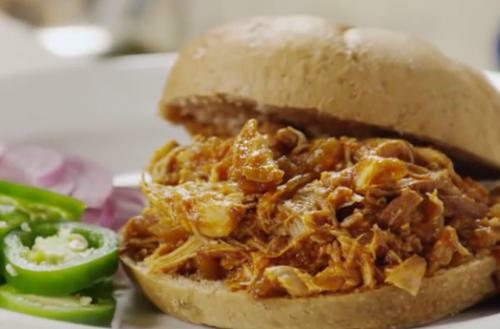 Slow cooker barbecued pulled chicken is easy and a total crowd pleaser. Boneless skinless chicken thighs are cooked low and slow with a tangy homemade barbecue sauce that's made right in the slow cooker. After 5 hours in the crock pot, the meat is so tender that it practically melts in your mouth. Tacos for dinner is always a winning meal in my house and this recipe couldn't be simpler. Slow cooker creamy chicken tacos are so easy and tasty that they'll make their way into your regular recipe rotation. Serve these tacos with your favorite taco toppings. For me that includes, guacamole, shredded cheese, fresh cilantro, and a spoon or two of pico de gallo salsa. 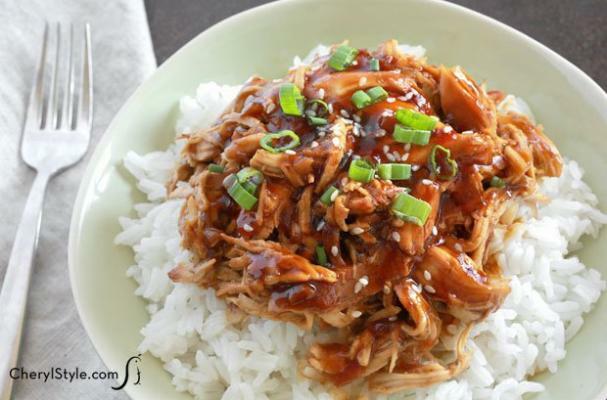 Instead of ordering take-out, try making honey garlic chicken in the slow cooker. Bone in chicken breasts and thighs are cooked low and slow in a sweet and tangy sauce made with soy sauce, honey, garlic, sesame oil and more. Rice is the side of choice so that it can soak up all the wonderful sauce. I like to serve stir fried broccoli with the honey garlic chicken too.